Not one but three main Republican challengers say they can topple Elizabeth Warren. She has $14 million in the bank and can raise thousands more at the click of the send button. She’s a prominent face of resistance to President Trump in a state that really doesn’t like him. She has a coast-to-coast fan base and can command a television spotlight seemingly at will. So why would anyone — let alone a Republican in Massachusetts — want to challenge US Senator Elizabeth Warren? Not one but three main Republican challengers say they can topple this daunting Democrat, largely because of her national profile, not in spite of it. His two main primary competitors — state Representative Geoff Diehl of Whitman and Beth Lindstrom, a longtime Massachusetts GOP insider from Groton — are similarly seeking to take advantage of what they say are the vulnerabilities that Warren’s national profile expose. Their talking points differ, but the trio are hitting many of the same themes: Warren is a divisive voice, and Massachusetts voters want politicians who work across the aisle; she votes against legislation that would help her home state — including the major tax bill that Congress passed, with zero Democratic support, last year — just to oppose the president; she’s more interested in positioning herself for a possible run for the White House than delivering for her constituents. “She may be the darling of the progressive left and the face of the resistance right now down in D.C., but Massachusetts is actually a pretty pragmatic state that I think expects their legislators to be serious when they go to Washington to deliver for the state,” Diehl said. 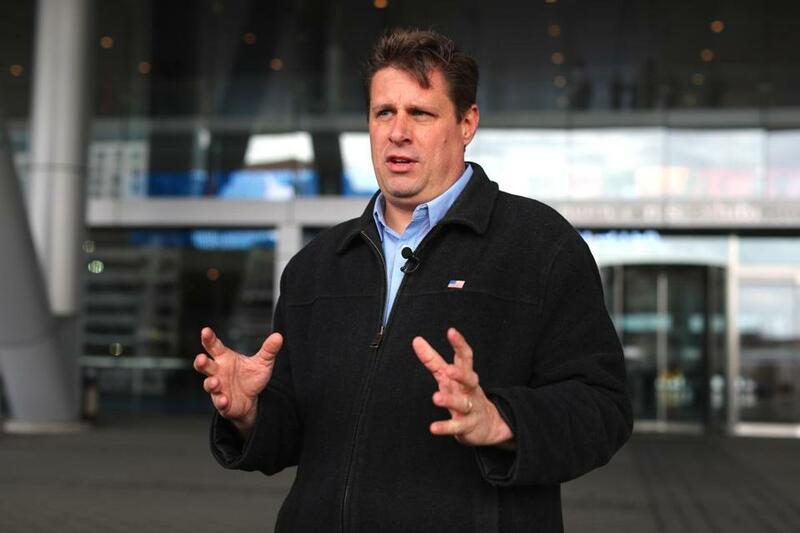 “Massachusetts is actually a pretty pragmatic state that I think expects their legislators to be serious when they go to Washington to deliver for the state,” Geoff Diehl said. “She has a different agenda than the people of Massachusetts,” said Lindstrom, citing votes Warren has cast against funding bills that contained money for the opioid crisis and a delay of the medical device tax. 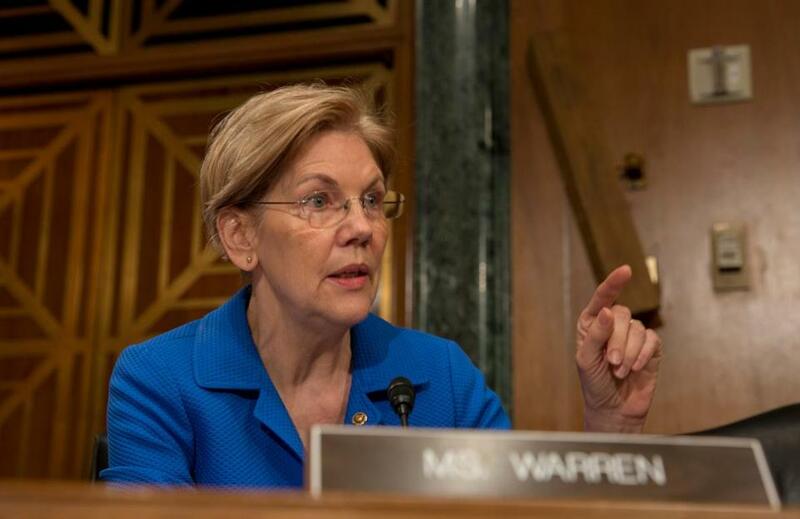 Warren’s “no” votes mirror those of other potential 2020 Democratic primary contenders, such as Senators Kirsten Gillibrand of New York and Cory Booker of New Jersey, Lindstrom noted. To be sure, despite her well-earned reputation as a partisan warrior, Warren does have a track record of working with Republican lawmakers — a fact that several of her conservative colleagues have touted to bolster their own bipartisan efforts. Warren has said she fights major GOP legislation, like the tax bill, because it is bad policy, not to score political points. “Massachusetts Republicans will decide among themselves who will run for US Senate. Senator Warren is focused on her work fighting for the people of Massachusetts and standing up for working families against powerful corporate interests,” said Gabrielle Farrell, a spokeswoman with Warren’s reelection campaign. The incumbent has no primary challengers. As for charges that she ignores constituents, her campaign points to the 20 town hall forums Warren has held in the state over the past year, including one last month in Holden. Her GOP challengers point to her standing in public polls as proof she’s vulnerable. A January WBUR survey found that 54 percent of Massachusetts voters rated the Democrat favorably, while 38 percent viewed her unfavorably. By contrast, Republican Governor Charlie Baker — who will be on the ballot in November for reelection — pulled a 66 percent favorability score in the same survey. The WBUR poll also showed that very, very few Massachusetts voters have even heard of any of Warren’s GOP challengers. Still, many state Republicans feel as though there’s a “just maybe” chance that one of the three can pull off an upset, as one insider put it, because they believe Warren’s brand of Democratic politics is too far left for the state’s broad swath of independent voters. Plus, the Republican challenger would be sharing the ticket with the ever-popular Baker. Williams added: “It has happened before,” citing Republican Scott Brown’s surprise win in the 2010 special election. Pundits wrote off Brown’s bid for the long-held Democratic seat as hopeless, but the race caught the national spotlight in the final few weeks, drawing money and energy to Brown’s campaign. Warren’s national profile means her Senate race could very well draw interest from beyond the state, including from deep-pocketed conservatives looking to damage her ahead of 2020. There have been early signs of that, with a super PAC called Massachusetts First spending $150,000 donated by Robert Mercer, a New York billionaire who has bankrolled former Trump chief strategist Stephen Bannon’s projects for years (including Breitbart News and Trump’s run for the White House), on radio ads attacking Warren earlier this year. For their part, Democrats see little to worry about, noting Warren’s blockbuster fund-raising and an upcoming midterm election cycle that, if history is a guide, should boost their party. The Cook Political Report has deemed the Massachusetts contest as a solid race for Democrats. And so far, none of the Republicans has gained significant momentum among party activists during the state GOP’s monthlong caucus process, which selects delegates to attend the April 28 party convention in Worcester. Many of those delegates will probably remain undecided at the convention, party insiders say. GOP candidates must get 15 percent of the GOP convention vote to appear on the September primary ballot. In the meantime, the three main candidates continue their pitches to delegates as to why they are best equipped to defeat Warren. Also in the GOP primary mix are Heidi Wellman of Braintree, Darius Mitchell of Lowell, and Allen Waters of Mashpee. All are largely focused on drawing a contrast with Warren rather than distinctions among themselves — though there has been some sparring between Kingston and Lindstrom, who are mostly competing for the same bloc of moderate Republicans in the primary. Diehl is a darling of conservative activists fond of Trump, whom the state lawmaker has embraced fully. 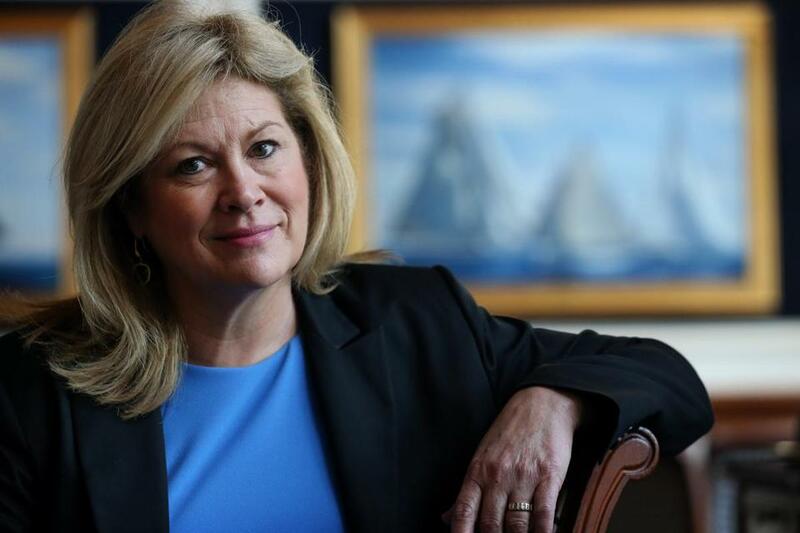 Beth Lindstrom is focused on how she would bring a different “tone and temperament” to Washington than the rock-throwing divisiveness Warren thrives on, she said. However, in an interview, she could not name a policy area on which she differs strongly with Trump. Kingston stressed his interest in finding ways to unite factions and bring people together to accomplish policy goals beneficial to Massachusetts. “I’m a lot like John F. Kennedy, I’m a lot like Paul Tsongas, I’m a lot like left of center and right of center [figures] Baker and [former governor Bill] Weld and Romney . . . [and] Scott Brown,” he said. His campaign also routinely emphasizes that Kingston — who has put $3.5 million of his own money into his campaign, per Federal Election Commission data — has the resources to beat Warren and her war chest. 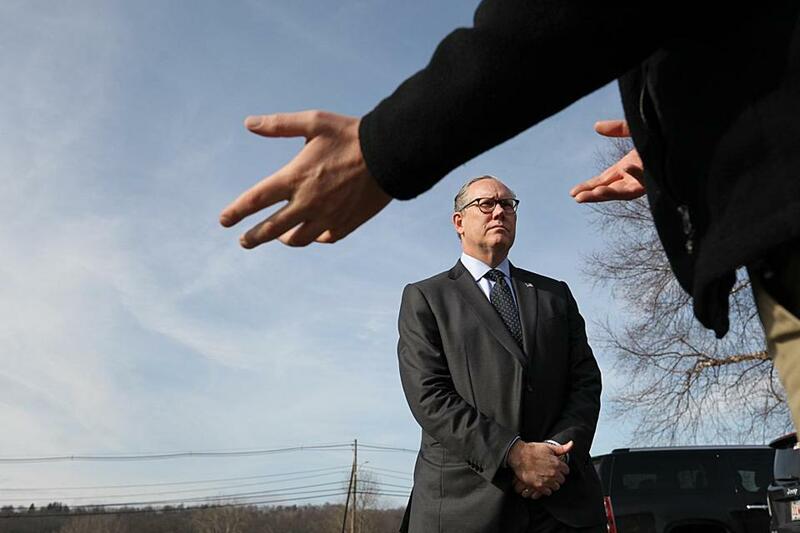 John Kingston stressed his interest is in finding ways to unite divided factions in the country and bring people together to accomplish policy goals beneficial to Massachusetts. Last week, Diehl argued that Warren ignores constituents, whereas he would “listen to people, not lecture them.” He declared this after an event staged to slam Warren for opposing the 21st Century Cures Act, a sweeping medical innovations bill that passed Congress in late 2016. Warren was the only member of the Massachusetts delegation to vote against it, arguing that the legislation — backed by then-President Obama — had been hijacked by pharmaceutical companies and stripped funds from the National Institutes of Health.